Accenture recently announced that it has been named a Leader in Gartner Inc.’s recently published “Magic Quadrant for Application Testing Services, Worldwide.” This is the third consecutive year that Accenture has been named a leader in this report, recognized for completeness of vision and ability to execute. Gartner assessed each provider on its ability to execute and its completeness of vision, using client references, background briefings, news releases and other analyst interactions as the basis for designating each provider’s position in the Magic Quadrant. Gartner, Inc. “Magic Quadrant for Application Testing Services, Worldwide,” by Susanne Matson, Patrick J. Sullivan and Gilbert van der Heiden , 28 November 2016. 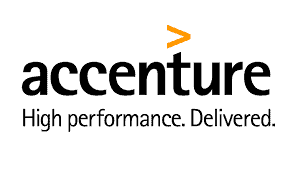 Accenture Positioned as a Leader in Gartner’s Magic Quadrant 0 out of 5 based on 0 ratings. 0 user reviews.